This contest is over – thanks to all who entered. Want to spend 30 minutes on the phone talking about sales copy? To celebrate the launch of my brand new copywriting course, Call to Action, I’ve decided to do something special. I’m giving away my 3 favorite copywriting books, plus a 30-minute copywriting call. You can ask me questions, get my advice — I’ll even write copy for you right there on the spot. Strong copy has been the engine of IWT for years. It’s how we’ve grown a list of over 500,000 subscribers, 30,000+ paying customers, and millions in sales every year. @ramit I just joined. I have learned SO much about copywriting as a member of your list alone. I can't wait for this. Thanks for sharing. "I AM GOING TO JUMP UP AND BEAT SOMEONE WITH AN ONION. (That way it's unclear why they're crying.)" Re-reading @ramit's book for the comedy. Unlike most contests where you just sign up, this time, we’re going to have a little fun. To win, you’ll need to flex your copywriting muscles and impress me with your powers of persuasion. Step 1: Write something — even a half page — using compelling copy on why you joined the free Call to Action Copywriting Bootcamp. You’re coming, so you’re doing others a service by letting them know about it, too. Step 2: Post your copy on the internet with a link to the bootcamp registration page (Link). This could be published on your blog, your forum, your Facebook page, YouTube…wherever. Someplace people can see it that allows them to join. Tag it #thecalltoaction (I’ll be posting my favorite ones on Twitter throughout the week). I’ll select the winner with the best copy. I’ll analyze why I loved your copy, and I’ll FedEx you my 3 favorite copywriting books — plus I’ll call you to talk about copywriting for 30 minutes. The winner of this contest will be announced Monday, November 16th, during the live copywriting master class I’m hosting. Since you signed up for the Call to Action Copywriting Bootcamp, you’re already registered. People are not persuaded by dates, facts, and figures. Tell them about personal meaning (why you believe in my copywriting material), results (what results you’ve gotten following IWT), use comparisons of good vs. bad copy. Study other people’s copy on the link below. Do not get hamstrung by technology — use Tumblr or Facebook if needed. The best copywriters also know how to spread the word. They know that “write it and they will come” is a myth, so they also use their copywriting skills to drive traffic to it. Think about people who need to learn more about copywriting — you’re doing them a service. Write something — even a half page is fine — using compelling copy that shows people why they should join the Call to Action Copywriting Bootcamp. Post your copy online, then paste it along with the URL in the comments below. Be sure to tune in to the copywriting master class on Monday, November 16 at 9PM Eastern (6PM Pacific) to see if you’ve won. You’ll get more details on the copywriting master class soon. P.S. Tag whatever you write #thecalltoaction. I’ll tweet some of my favorites to my 94,900 twitter followers. Just posted mine on Twitter. Just let me know where to PM you my address. Do you actually like bagels?!?! My dad told me it was stale bread… wondered if that was actually true. He also told me that beer was horse urine… yes, I know… that’s my dad. And today, a full fledged adult, I don’t have a beer (aka alcohol issue) nor do I eat bagels.. so I’m guessing his tactics worked. That’s how stories and metaphors work. What you offer is invaluable and deserves a ‘lasting’ impression in your ideal client’s mind too. That is how awesome copywriting works, right? Well, one person who appears to be ‘almost’ as good as my dad is Ramit Sethi. This man knows how to get inside your head. Copywriting. Done. Write. Seriously, did I even want that… before reading his copy?! Who knows..
All I have to say is it is WAY better than the carbon copy guru crap I see flooding my Facebook feeds and my inbox (before I unsubscribe) these days. Always best to learn from a man (or woman) who can hold their own. Who isn’t vomiting what he learned from his mentor .. a man who can think for himself .. quite attractive.. just saying ..
P.S. It’s complimentary … Early Christmas presents are the best!! Gotta tell us the URL where you posted this. I know Ramit! It’s on my Facebook Profile Page. Not sure how to post the actual url for that .. working on it! I have to start believing I have a crush on this guy’s emails. And my husband will agree because all I keep talking about is Ramit Sethi and his emails. He writes his posts like a friend is talking to me. His story telling ability is superb. He makes jokes, He has the ability to laugh at himself, a quality I always admire. And he cuts through all the BS. He is very direct. He reads and replies to emails. He is straight forward enough to tell you, you are not ready for his paid course which he did with me. And I almost wanted to throw my laptop away but as I said, I cannot stop reading and learning more from him. And now he is doing the unthinkable. He actually wants to show people how to write compelling posts just like he does. Trust me, it is hard to come up with posts and keep writing. Leave aside, making them compelling. I have signed up for about 20 different people who write about content marketing/posting blogs/ starting an online business and man there is a huge difference in the quality of delivery between all these and Ramit. His writing speaks to your heart. I would consider myself lucky if I had an ounce of talent as he does. If you want to understand what I am talking about, join his free Copywriting Bootcamp this coming Monday. If you did join, please write me a note below and let me know what about the video resonated with you the most! HaHa! I will pass on the message. At first I was skeptical about Ramit Sethi’s Call to Action Copywriting Bootcamp. My thoughts were, “damn, I JUST purchased his Earn1K course and now he’s selling me something AGAIN!” But as I read a little more I knew this bootcamp is exactly what I needed. I’ve read a good bit of Ramit’s material. Hell, I’m enrolled in his other course and mailing list for crying out loud! I know his writing style works because it worked on me! As I read some of the copywriting material, this sense of urgency prompted me to sign up for the bootcamp. Let me give you two writing examples. (1) I bought the new Nissan Altima and liked it. Of those two examples, which one had your attention more? Of course the second one did…need I explain anymore? The copywriting course is meant to bring meaning *and clients* to my business. It is designed specifically to help me and other business owners communicate to our audience in a “Purple Cow” kinda way (shout out to Seth Godin). After the bootcamp is over, my copywriting material will stand out like a girl rockin’ Ugg boots on a hot, summer day in Houston. As a business owner or aspiring entrepreneur, I know how difficult it may seem to attract clients. Ramit’s Copywriting Bootcamp is the starting point to a lifelong success story. If you’re still not sure, definitely check out his site. Good job. Love the contrast between 1 and 2. This is a great example of SHOWING, not TELLING. Hey, you’ve probably heard about Remit’s conference call about copy writing skillz. I’ve got some time to kill, so I’m going to tune in. But if you’re pressed for time, take a pass. I mean, hey, it’s just another free call, right? What could you possibly learn? They save the good stuff for the paid calls, right? I’m thinking it will be the normal blah blah blah, followed by the normal sell sell sell. Why tune in for that? Obviously the above is complete [email protected]#t, right? I’m going to be on this call. And I pride myself in never wasting a minute of my time. Ever. I suppose I would be okay if all the other promising copy writers on planet Earth skipped this call too, because I would learn this stuff and they wouldn’t. But you know, the world needs a metric crap-ton of copy to be written. And I can’t write all of it! Duh. So there’s plenty of room for excellent copy writing. And let’s also stipulate that Remit’s free stuff is worth 10x the other pay stuff out there. So suit yourself. Either stay away, and let the rest of us gain more copy writing mojo. Or join in. No hard sell. I’ll be there. Hope (Or do I?) you’ll be there too. Me too. Writing great, compelling, informative and respectful copy about a talk only sexual health practice is a BIG challenge. But, I’m ready. Really ready. Because, I’ve seen HOW IMPORTANT it is that we reach the couples and individuals who desperately need our help. We have incredibly tools to help people right now, and they aren’t able to find us because we have Crappy Copy Syndrome. Or something like that. I’m ready to helps the millions of guys out there who worry about beating their (not-so-happy) partners to the finish line over and over They have no idea how to change what’s happening to their bodies and their relationships (hint – Kegels). And frankly there’s no way they would know because nobody talks about this stuff. Or writes about it much. Writing is important. It’s one of the ways that we can help people. But still keep it G-rated enough that I won’t get banned on FB. I write and they read. Maybe. If I’m honest, I guess that I don’t know if they read because my audience doesn’t really write back. I get nothin’ – no comments, no dialog, just quiet. Maybe all my friends are great in bed. So – Here I am in front of FB and everybody claiming my truth today. I’m finally taking the plunge. 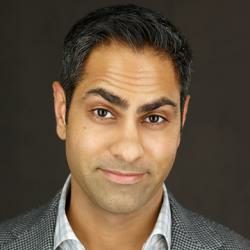 I’m going to be learning about copy this week – from Ramit Sethi – FOR FREE. And Ramit, (he’s the founder of I Will Teach You To Be Rich), is a rock star copy guy. Ramit’s put together a quickie course just for us. Just because it’s quick doesn’t mean it isn’t good. Ramit knows his stuff. He’ll be gentle with us. He’ll take us from stone cold to sizzling. As copy writers. How about you? Ready to spice things up with Ramit? I can see how this could resonate with your audience. Please share the URL where you posted this!